Back Pain: Have You Tried Massage Therapy? Chronic low back pain is a very prevalent condition in the United States, especially as the population is aging. Massage therapy is an effective method for providing relief. But this therapy is entirely different from the massages you might receive on holidays or at the spa. The massage at a pain treatment clinic are not recreational, they are rehabilitative. Massage Therapy for Back Pain: What are the Specifics about the Treatment? Knowledge of your Therapist: Massage therapists who work at pain treatment centers have more training than the recreational massage therapist. They are often members of the national institute called the American Massage Therapy Association (AMTA) and are therefore aware of the latest techniques for pain relief. Co-ordination with your Pain Doctor: Your massage therapist will receive the diagnosis and direction from your pain doctor in New York or pain doctor in New Jersey so that she or he can better target the cause of your pain. By massaging the muscle, the flow of blood is returned, and the lactic acid will be reduced in the area. There are 2 sets of muscles that are the common causes of back pain. The QL ( quadratus lumborum) and the gluteus medius. Both can be integral to managing your pain. The QL muscle connects to your pelvis to your bottom rib. This arrangement holds the pelvis in place. Activities which can strain this muscle occur in situations in which your upper body is still but the lower body is moving. Activities such as lifting heavier items such as lifting groceries out of your car, sitting in your car, leaning over to do dishes and running on rough or uneven pavement. Since the gluteus medius or buttocks muscle often compensates for a tense QL, it can become inflamed from overuse. Massage will increase the blood flow in this area as well as reducing tension. If your diagnosis for your pain is due to your soft tissues, such as your muscles and tendons, you should feel some relief with the first session. Your back pain should subside within a few weeks of treatment. You can recognize this condition by a sudden pain in your lower back. Your therapist will stretch the muscle and massage it at the same time to relieve the tension. Swedish Massage: In this massage, the therapist will use long gliding strokes alternated with kneading motions. Trigger Point Therapy: This massage therapy works on specific trigger points for pain. The American Academy of Pain Management (AAPM) acknowledges that neuromuscular therapy is effective for relieving pain. This pressure massage may be somewhat painful at first until adequate blood flow is restored. Shiatsu Massage: This technique uses some of the components of neuromuscular therapy. It originated in ancient Japan. Pressure is applied by the therapist’s finger, thumb and palm to specific points on the body to promote energy flow and to correct disharmonies. It regulates the nervous system and stimulates circulation. Your muscles will likely remain painful for 24 to 36 hours after the massage. But then the pain should be significantly reduced. The muscles should stay relaxed for four to fourteen days, depending on the stress level in your situation. Most muscle spasms require four massages over six weeks to eliminate the problem. Release of Feel Good Chemicals: Massage often has an added benefit of the release of endorphins which are often called the feel-good chemicals. So, the massage that targets specific muscle groups for back pain can also trigger the release of these pain reducing chemical naturally. Help for People with Fibromyalgia: Often people suffering from this disease have pain, stiffness, and a tired feeling. 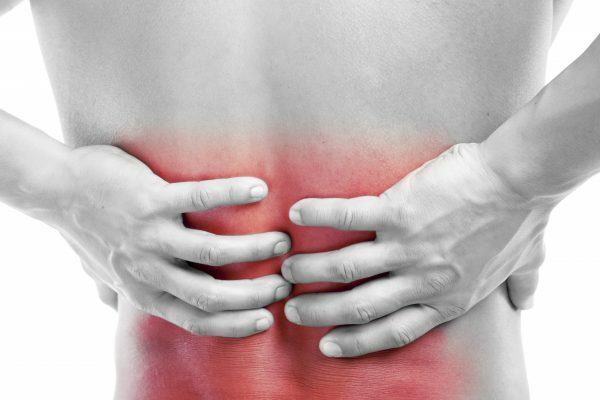 Since they experience the pain in specific areas, massage can be effective in relieving tension in their lower backs. For the vast majority of people, massage is a very positive experience, but there are certain specific instances where it is not advisable. When to seek Other types of Medical Treatments? There are several indicators that perhaps massage therapy is not providing you the relief you need. If in six weeks of massage therapy, your pain is still present, it is time to seek alternative treatments. You may continue with massage while under other treatment options from an interdisciplinary team of medical professionals including a physical therapist, a chiropractor or your own primary care doctor. If your pain is not a result of soft tissue damage but is a result of a fracture, a bone disease or if the area is inflamed, massage by itself most likely will not solve the underlying problem. What are Some Other Options for Treatment? Physical Therapy: Physical therapy and massage can go hand in hand. Your physical therapist will assess your posture and the conditions under which you generate or feel pain. Then she or he will design some exercises to build muscle strength. Treatment at home can continue as your therapist will create a home exercise program for you. Chiropractor: At times your muscles are tense because your spine is not aligned correctly. A chiropractor can use hand manipulations to adjust your spine. Injections: Your pain doctor is able to inject your soft tissue with painkilling medicine so that you can exercise your muscles to strengthen them. He or she can also provide you with an anti-inflammatory injections to reduce the swelling and pain in your muscles. Massage is recognized as an effective method for alleviating back pain. Your pain doctor in NY or pain doctor in NJ will diagnose your condition and then direct your rehabilitative massage therapist with the information so that she or he can work with the soft tissues that are the source of your pain. The expert staff at pain treatment clinics work together to solve your pain problems. Massage therapy can be combined with many different approaches to suit your condition and lifestyle.